Harmattan period can mean bad news for your skin. It suffers from a constant feeling of irritation and dehydration that can lead you to emptying out a bottle of moisturiser to save your face from looking like a cracked wall. Honey and almond oil: All you really need to do is mix 2 tablespoons of honey along with 2 tablespoons of almond oil. Blend this mixture and spread it evenly on your face. Leave it for 20 minutes and wash off with a mild cleanser. Honey has the ability to retain moisture while almond oil is extremely rich in Vitamin E, which naturally keeps dry skin lubricated. 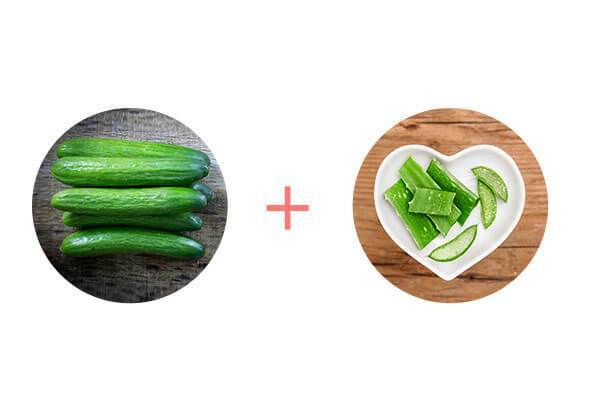 Cucumber and aloe vera: You need to mix 2 tablespoons of aloe vera gel and ½ blended cucumber for this concoction. Massage this paste on your face gently and relax for about 30 minutes. Wash off with cold water. Due to its high water content, cucumber helps in keeping your skin hydrated. Aloe vera is a natural humectant that’s non-greasy and works to moisturise both oily and dry skin. Papaya (pawpaw) and strawberry: Blend 2 large strawberries with 2 tablespoons of ripe papaya. Let it turn into a paste and apply this on your face and let it stay for at least 15 minutes. I bet you didn’t know that papaya contains papain enzymes and Vitamin A that not only remove dead skin and also rejuvenate it. Moreover, strawberries are full of Vitamin C, which works wonders to hydrate skin.